This section presents the official documents of the Catholic Church concerning Judaism and the Jewish people. 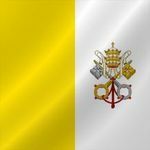 See also the homepage of the Commission of the Holy See for Religious Relations with the Jews for more links and documents. Read more: Guidelines and Suggestions for Implementing the Conciliar Declaration "Nostra Aetate"